Material Outer Tent: 350 g /m2 poly cotton canvas , water proof and rot proof. Outer Tent Wall: 200 G/m2 poly cotton canvas , water proof and rot proof. 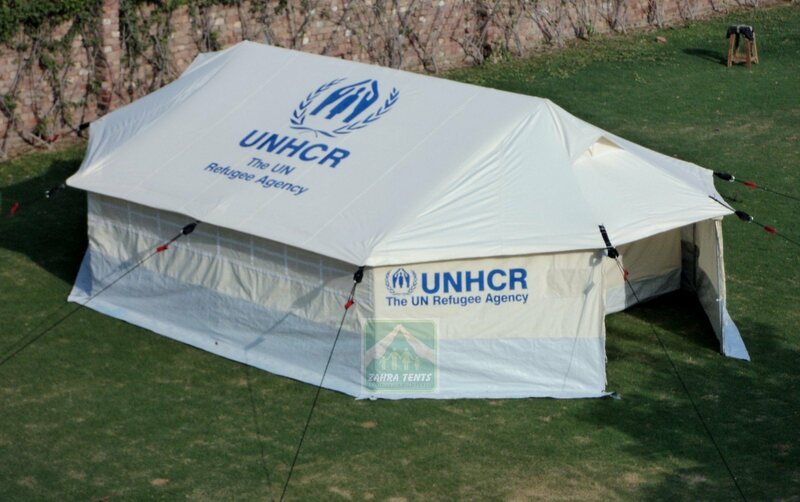 Inner Tent : 130 G/m2 poly cotton fabric , water proof and rot proof. Frame Made of painted steel polse 2 standing of 25 mm dia, 1 standing+ 1 ridge poles of 31 mm dia 6 wall & 4 canopy poles of 19 mm dia . Ventilators 2, one on top of each vestibule .